Francis Collins is one of the world’s leading geneticists, well known for heading the Human Genome Project (and bringing it to a successful completion ahead of schedule and under budget). He is also a Christian, who came to faith as an adult finishing his second doctorate. 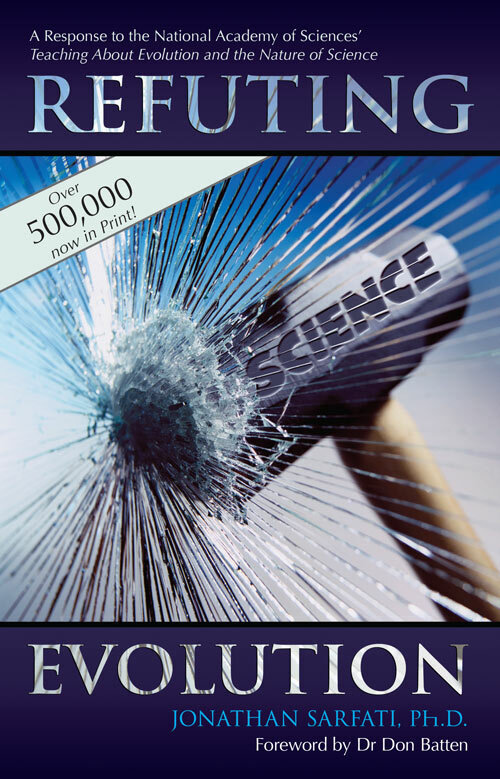 He has written this book out of a deep concern over the common misconception that faith and science are incompatible. Nothing could be further from the truth, he says, and begins by presenting some of his personal saga. Collins was not raised in a ‘religious’ home—even when he was sent to a local church choir to learn music, his parents admonished him to beware of the theology! Indifference toward religion matured into outspoken scepticism in college. After completing a doctorate in chemistry at Yale he went on to medical school, and there decided to research the topic of religion, to make sure his atheistic beliefs were well grounded. He came in contact with the writings of C.S. Lewis, and for the first time encountered a reasoned case for faith. He came away from his study with the opinion that it was more reasonable to believe than to disbelieve in the existence of God, and that agnosticism was simply fence sitting. Collins rests his personal story at this point, and goes on to consider the arguments regarding God’s existence. (a) All men have some sense of right and wrong. (b) Naturalism cannot explain (a). (c) Therefore, something outside nature is responsible for (a). Collins uncritically accepts the standard evolutionary account of the cosmos, except that he suggests that the addition of God into the story may help solve additional questions about ‘what came before the Big Bang’. This sounds curiously like the god-of-the-gaps theology he later (inaccurately) accuses creationists of holding to. Collins next responds to several objections to belief in God, which were important for him in his life. He responds to the notions, first, that God is a delusion for wish fulfilment, and second, that God is discredited by evils committed in the name of religion. Collins’ answers are good, but lack detail because at this point he is merely defending a general belief in God, not Christianity in particular. Third, Collins tackles the problem of pain and suffering. He settles rather uncomfortably on the position that suffering is necessary to build moral character. This fails to answer the basic problem, why would a good God create us in such a way as to require suffering to achieve moral perfection? This problem can only be answered by a proper interpretation of the Fall, which recognizes that pain and suffering were not created by God as part of his ‘very good’ creation, but were rather a consequence of the Fall. Sadly, ‘suffering is necessary’ is the position that theistic evolutionists are often forced to adopt, showing how a failure to appreciate the historical Fall of man in Genesis 3 cripples effective apologetics. ‘… it is crucial that a healthy skepticism be applied when interpreting potentially miraculous events, lest the integrity and rationality of the religion perspective be brought into question’ (p. 51). But it would have been helpful if Collins had pointed out that there is a difference between accepting God’s authoritative revelation when it speaks of specific miracles on the one hand, and applying scientific (as well as biblical) evaluation to uninspired claims of supernatural activity on the other hand.3 Failure to distinguish these situations causes confusion because it tends to mix origins science with operational science.4 Confusion on this point is typical of anti-creationist literature,5 and hints at problems to come. ‘… there is nothing inherently in conflict between the idea of a creator God and what science had revealed. In fact, the God hypothesis solves … questions about what came before the Big Bang, and why the universe seems to be so exquisitely tuned for us to be here’ (p. 81). The problem is that the big bang is incompatible with what God has said that He did, and Collins brings up the Genesis-as-poetry position, a theme he returns to later. … the only people who invoke a ‘god of the gaps’ argument are evolutionists knocking down creationist straw men; creationists actually appeal to what we do know about chemistry, biology and information theory. Collins continues the mainstream evolutionary story of the origin of life. He believes faith was needlessly damaged when science produced a naturalistic explanation for the origin of the universe. He says faith should not be shaken by the revelation that modern biology can explain life naturalistically. However, not only is it untrue that the universe is ‘explained’ by naturalism9 (Collins himself was cognizant of at least a few of the gaps left by the big bang), but, as we find out from Collins’ discussion, the origin of life is far from having a naturalistic solution. Collins’ account includes the Miller–Urey experiment10 and amino acids on meteorites11 as the high points of origin-of-life research: ‘Beyond this point, the details become quite sketchy’ (p. 90). As both of the high points are quite unhelpful toward explaining a naturalistic origin of life, the rest must be ‘sketchy’ indeed. Collins concludes that no ‘naturalistic explanation for the origin of life is at hand’, but he warns against inserting God into the gap of scientific knowledge, as he expects the gap to be closed sometime in the future (pp. 92–93). However, the only people who invoke a ‘god of the gaps’ argument are evolutionists knocking down creationist straw men; creationists actually appeal to what we do know about chemistry, biology and information theory. Collins marvels that Darwin proposed natural selection before the discovery of its mechanism, DNA, and states that this is a remarkable confirmation of evolution. Actually, this was a confirmation of natural selection, and natural selection only. Creationists of course accept natural selection.14 Collins goes on to give a description of DNA—his specialty—and concludes that there are more reasons than ever to be in awe of God’s work in nature. That is certainly true; but what is inspiring is the true (operational) science of DNA, not molecules-to-man evolution, for which Collins has provided no new arguments. The first option for dealing with evolution and Genesis is atheism, which is when ‘science trumps faith’, Collins says (p. 159). Collins ends up quoting none other than Stephen Jay Gould to the effect that science is not able to adjudicate the question of God’s existence. The problem with Gould (which Collins glosses over) is that he reaches his conclusion only by stating that religion (God) never interacts with the physical world. Ironically, a profile of Collins himself, in the anti-Christian Scientific American, praised him because he ‘strives to keep his Christianity from interfering with his science and politics’22 (but they never have a problem when antitheists let their atheistic religion dictate their science and politics). Collins joins a host of other writers in citing Galileo’s conflict with church leaders as a warning against allowing Scripture to influence science. However, a careful examination reveals that this popular form of the Galileo story is not historically accurate. The second option is young-earth creationism (YEC), which is when ‘faith trumps science’, according to Collins (p. 171). Collins appears superficially familiar with YEC arguments: fossils formed during the Flood, radioactive decay rates have not been constant, and the Second Law of Thermodynamics precludes evolution (p. 173). Collins brushes off all these arguments without argument, and without as much as a footnote for more in-depth treatment. Obviously, he is not to be bothered by actually refuting creationist arguments, perhaps indicating that he is not well-read on the subject. 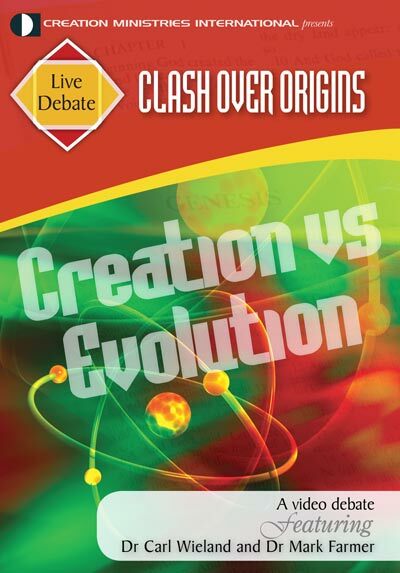 Within a few pages, he states that YEC proponents have spent the ‘last half century’ attempting to refute evolution, and in frustration, ‘some YEC advocates have more recently taken the tack of arguing that all of this evidence has been designed by God to mislead us, and therefore test our faith’ (p. 176). Once again, Collins’ lack of references is annoying, for I would be intensely curious to see to whom Collins is referring. Certainly there is no one who says this in the mainstream of creation research and ministry; it sounds more like Neo-Platonists23 than any creationists I have ever heard of. Tossing in a bizarre minority position, with no evidence that anyone holds this, appears to be a ‘guilt by association’ and ‘poisoning the well’ tactic for marginalizing creationists as a whole into a lunatic fringe. Collins theologically objects to ID in that it, first, creates a ‘God of the gaps’, and second, implies the Creator must have been ‘clumsy’ to have to keep intervening throughout geologic time to make his creatures turn out right. From a YEC perspective as well, theological grounds are the weak spot for ID, because by intentionally avoiding the identity of the ‘designer’ they have nowhere to turn for answers. When we are operating from a biblical standpoint, however, the geologic timescales disappear, and the ‘God of the gaps’ problem evaporates. As Alvin Plantinga has explained, the ‘God of the gaps’ is deistic, not Christian, for it postulates a basically naturalistic world and only invokes God at certain awkward points (a ‘large scale hypothesis to explain what cannot be explained otherwise, i.e. naturalistically’25). Collins finally considers theistic evolution, which he believes is ‘science and faith in harmony’. He thinks that theistic evolution would be much more popular if it only received as much publicity as the more ‘divisive’ creationists and ID advocates, and Collins suggests a new name, ‘BioLogos’, to improve theistic evolution’s appeal (p. 203). He says that he has found theistic evolution a ‘satisfying’ and ‘consistent synthesis’ of faith and science (p. 200). Collins reports that this view avoids the pitfalls of the other views, such as ‘God of the gaps’ arguments, by dealing with the questions which science was not intended to answer anyway (p. 204). He fails to note that a robust theism which allows God any involvement in His creation will impinge on the realm of science at some point; Collins’ own Moral Law argument, for example, intrudes into the realm of sociobiology. There is no way to relegate religion and science into separate domains of ‘respectful noninterference’26 without turning God into something even less than a deist’s deity. The only question is, will we accept God’s revelation of where He has directly acted in the world, or will we arbitrarily pick and choose where we can accept God’s action (for example creation of a Moral Law, but not of man’s mind itself)? ‘Doesn’t a compromise of Genesis 1 and 2 start the believer down a slippery slope, ultimately resulting in the denial of the fundamental truths of God and His miraculous actions?’ (p. 209). ‘While there is clear danger in unrestrained forms of “liberal” theology that eviscerate the real truths of faith, mature observers are used to living on slippery slopes and deciding where to place a sensible stopping point’ (p. 209). But then the question becomes whether it is ‘sensible’ to stop where the theistic evolutionist Christian stops. Can one consistently reject the Genesis account as history while still holding to such a basic essential as the Resurrection, for example?28 Collins also fails to explain how the rest of the Bible treats the people, events, timeframes and sequences as real history, not myth or allegory.29 This is a serious problem for Christian theistic evolution proponents. In his final chapter Collins returns to his personal odyssey. After coming to the conclusion that there was a God, Collins recalls, ‘I spent considerable time trying to discern His characteristics’ (p. 219). After some time of considering his options, he was finally most impressed by the perfection that God must possess, and Collins’ inability to meet that standard of perfection. ‘Into this deepening gloom came the person of Jesus Christ’ (p. 220). Collins then explains the claims of Christ, His redemptive sacrifice, and the way it all fit together to make sense to him (although overlooking the connection of ‘the Last Adam’ coming to conquer death, ‘the last enemy’, brought by ‘the first man, Adam’ in 1 Cor. 15:21–22, 26, 45). Collins concludes with a personal note to readers. He encourages believers that science and faith are compatible and that faith makes sense; he challenges sceptics to consider the arguments for God and faith. ‘Don’t put off a consideration of these questions of eternal significance until some personal crisis or advancing age forces a recognition of spiritual impoverishment’ (pp. 132–133). 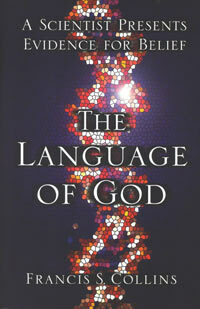 All Christians, creationists included, can find much to like in The Language of God. Collins’ personal story is fascinating. His intention in writing the book is excellent: to spread the word that faith is reasonable. Like Collins, we want to see an end to the widespread false impression that faith and science are incompatible. However, we must sadly conclude that most of Collins’ arguments—his means to the laudable ends that we all want to further—are going down the wrong path. Instead of creating a harmony between faith and science, theistic evolution subsumes the authority of Scripture to the authority of the latest scientific paper, leaving philosophical confusion in its wake. For development of the moral argument, see Craig, W.L., The Indispensability of Theological Meta-ethical Foundations for Morality, Foundations 5:9–12, 1997, 13 December 2006; and Sarfati, J., Bomb-building vs the biblical foundation, 24 December 2004. Return to Text. But ironically, atheism cannot provide an epistemological basis for believing in uniformity of nature, while Christian theism does: see Sarfati, J, Correcting a severe misconception about the creation model, 31 December 2004, and Sarfati, J., Miracles and science, 1 September 2006. Return to Text. See as an example Sarfati, J., Near death experiences? What should Christians think? 11 July 2000. Return to Text. For further discussion, see Sarfati, J., Who’s really pushing ‘bad science’? <www.creation.com/naturalism>; Batten, D., ‘It’s not science’, 28 February 2002, <www.creation.com/notscience>; Sarfati, ref. 2. Return to Text. See Steel, A., The tower with many flaws: A review of Tower of Babel: the evidence against the New Creationism by Robert T. Pennock, Journal of Creation 14(2):41–46, 2000. Return to Text. Note that in a biblical worldview, there is no dichotomy between miracles and natural law that entails that only the former is God acting: natural law is our description of God’s ordinary way of sustaining creation, and miracles are our description of His extraordinary involvements in His creation (Colossians 1:15–17). Return to Text. Collins does not even acknowledge that there could be scientific objection to the big bang cosmology, but see Hartnett, J., and Williams, A., Dismantling the Big Bang, Master Books, Green Forest, AR, 2005. Return to Text. It seems that it would have been easier to say ‘designed for life’, but Collins seems to go out of his way to avoid using the catchword ‘design,’ lest he be linked to the Intelligent Design (ID) movement. ID has been a major proponent of the Anthropic Principle as an argument for design in the book and documentary, The Privileged Planet. See Henry, J., Designing the earth without a designer: A review of The Privileged Planet by Guillermo Gonzalez and Jay W. Richards, Journal of Creation 18(3):58–60, 2004. Return to Text. See Hartnett and Williams, ref. 7. Return to Text. The experiment, rather than showing how life could have formed, instead did more to highlight the problems with abiogenesis. Bergman, J., Why the Miller–Urey experiment argues against abiogenesis, Journal of Creation 18(2):28–36, 2004. Return to Text. This is trivial for origin-of-life research, because the building blocks themselves are unstable for forming life. Sarfati, J., Origin of life: instability of building blocks, Journal of Creation 13(2):124–127, 1999. Return to Text. But see Woodmorappe, J., The fossil record: becoming more random all the time, Journal of Creation 14(1):110–116, 2000. Return to Text. Sarfati, J., Refuting Evolution, chapter 5, Master Books, Green Forest, AR, 1999; Sarfati, J., Refuting Evolution 2, Master Books, Green Forest, AR, pp. 135–142, 2002; Woodmorappe, J., Walking whales, nested hierarchies, and chimeras: do they exist? Journal of Creation 16(1):111–119, 2002; Gish, D.T., Evolution: The Fossils Still Say No, Institute for Creation Research, El Cajon, CA, pp. 198–207, 1995. Return to Text. Years before Darwin published, creationist Edward Blyth authored publications describing natural selection in 1835 and 1837. Eiseley, L., Charles Darwin, Edward Blyth, and the theory of natural selection, Proceeding of the American Philosophical Society 103(1):94–114, 1959, reprinted in Darwin and the Mysterious Mr. X: New Light on the Evolutionists, E.P. Dutton, New York, 45–80, 1979. Return to Text. See further Walkup, L.K., ‘Junk’ DNA: evolutionary discards or God’s tools? Journal of Creation 14(2):18–30, 2000; Woodmorappe, J., Pseudogene function: regulation of gene expression, Journal of Creation 17(1):47–52, 2003; Woodmorappe, J., Pseudogene function: more evidence, Journal of Creation 17(2):15–18, 2003. Return to Text. Walkup, ref. 15. Return to Text. Woodmorappe, J., Are pseudogenes ‘shared mistakes’ between primate genomes? Journal of Creation 14(3):55–71, 2000; Woodmorappe, J., Potentially decisive evidence against pseudogene ‘shared mistakes’, Journal of Creation 18(3):63–69, 2004. Return to Text. Sarfati, J., Refuting Compromise, Master Books, Green Forest, AR, chapter 3, 2004. Return to Text. See Faulkner, D., Geocentrism and creation, Journal of Creation 15(2):110–121, 2001. Also see the essay by Russell Grigg, The Galileo ‘twist’, Creation 19(4):30–32, 1997, which turns Collins’ lesson from the Galileo affair on its head. Return to Text. 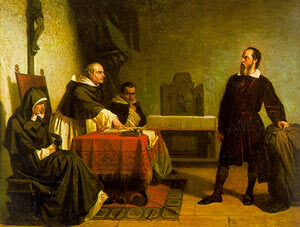 Schirrmacher, T., The Galileo affair: history or heroic hagiography? 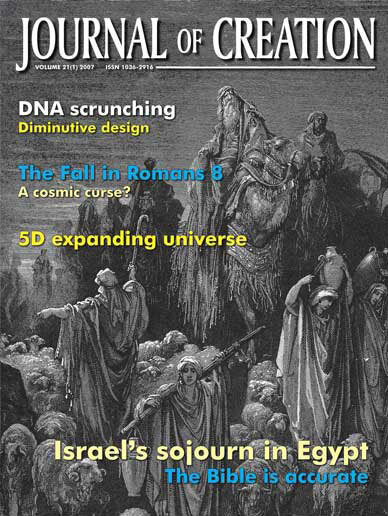 Journal of Creation 14(1):91–100, 2000. Return to Text. Sarfati, J., ref. 18, chapter 1; Ham, K., Wieland, C., and Mortenson, T., Are (biblical) creationists ‘cornered’? Journal of Creation 17(3):43–50, 2003. Return to Text. Beardsley, T., Where science and religion meet, Scientific American 278(2):18–20, February 1998. Return to Text. See Rudwick, M.J.S., The Meaning of Fossils, University of Chicago Press, Chicago, IL, pp. 33–35, 1985. Return to Text. On Miller generally, see Woodmorappe, J. and Sarfati, J., Mutilating Miller: A review of Finding Darwin’s God, by Kenneth R. Miller, Journal of Creation 15(3):29–35, 2001. For specific responses to his arguments on irreducible complexity, see Behe, M.J., In defense of the irreducibility of the blood clotting cascade, 31 July 2000; Behe, M.J., A true acid test: A response to Ken Miller, 31 July 2000. See also DiSilvestro, R., Rebuttals to common criticisms of the book Darwin’s Black Box, 9 August 2006. Return to Text. Plantinga, A., Methodological naturalism? Perspectives on Science and Christian Faith 49(3):148–149. Return to Text. Borrowing the terms from Gould, S.J., Rocks of Ages: Science and Religion in the Fullness of Life, Ballantine, New York, p. 5, 1999. Return to Text. 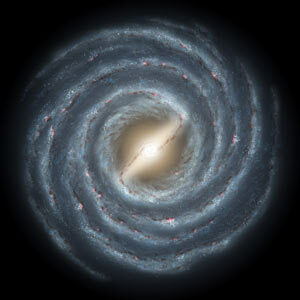 For an overview, see Ham, K., The god of an old earth, Creation 21(4):42–45, 1999, and Batten, D., (Ed. ), The Answers Book, CMI, Australia, pp. 41–44, 1999; 2006. Return to Text. For example, see Ruse, M., Can a Darwinian Be a Christian? The Relationship Between Science and Religion, Cambridge University Press, Cambridge, UK, p. 96, 2001, ‘eviscerating’ the resurrection; and my review in Journal of Creation 19(2):42–25, 2005. Return to Text. Batten, D. and Sarfati, J, 15 Reasons to take Genesis as History, CMI, Australia, 2006. Return to Text.